Sarah is native to Humboldt County and was born in Garberville and raised in Miranda. She has worked in the real estate industry in banking, lending, and Title. 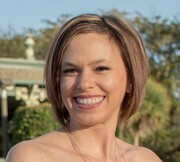 Sarah is the Executive Assistant to the Co-Owner of Community Realty, Brian Dunlap. She is working on her real estate salesperson license classes and studying for the State Exam.